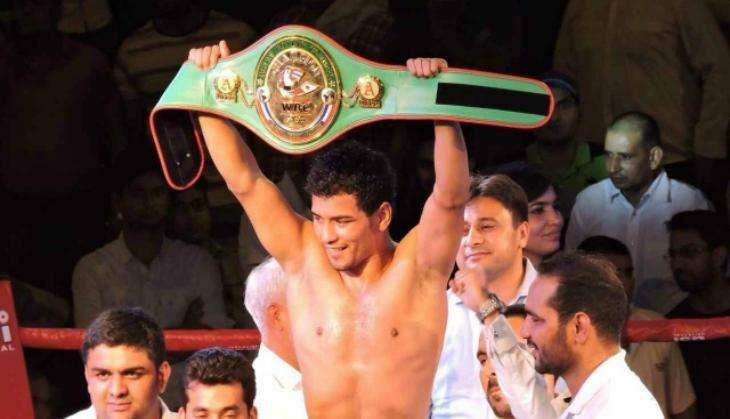 Indian boxer Neeraj Goyat will defend his WBC Asian welterweight title against Australia's Ben Kite on 15 October in New Delhi at the Talkatora stadium. The 24-year-old Neeraj, who is a former Youth Commonwealth Games bronze-medallist, had won the title last year in November by defeating Filipino Nelson Gulpe via a unanimous decision. Most recently, the Indian made the semifinals of the July Olympic Qualifiers for professional boxers in Venezuela but could not secure a ticket to Rio. Neeraj has been unbeaten in the professional circuit since November 2013. He has fought a total of 11 bouts, winning 7 of them, including 2 knockouts. Kite, a 25-year-old from Brisbane, has fought a total of 9 bouts in his nascent career, winning 5 of his contests. He is the reigning state welterweight title holder in Australia. "I don't know much about this guy, his name has been decided by WBC. I am currently training in Pune's Army Sports Institute to prepare for this bout," Neeraj, who is promoted by the Professional Boxing Organisation of India (PBOI), said. "I had won the title last year and as per rules, I have to defend it within a year's time. I will be watching videos of Kite's previous fights to understand what he might bring to the ring," he added. Interestingly, Olympic-returned duo of Manoj Kumar and Vikas Krishan will be by Neeraj's side as he gears up for the bout. "I went to support them in Rio, so they are also supporting me. Manoj has already arrived and Vikas will come tomorrow," Neeraj said. Manoj, however, asserted that he has no plans to turn pro. The Haryana-lad had lost in the pre-quarters of the Rio Games. "I am only here in Pune to support Neeraj. I have no plans of turning pro," Manoj said. Vikas, who was defeated in the Olympic quarterfinals, has already ruled out an immediate move to the pro circuit, stating that he would take a break for a couple of months before deciding his future course of action.